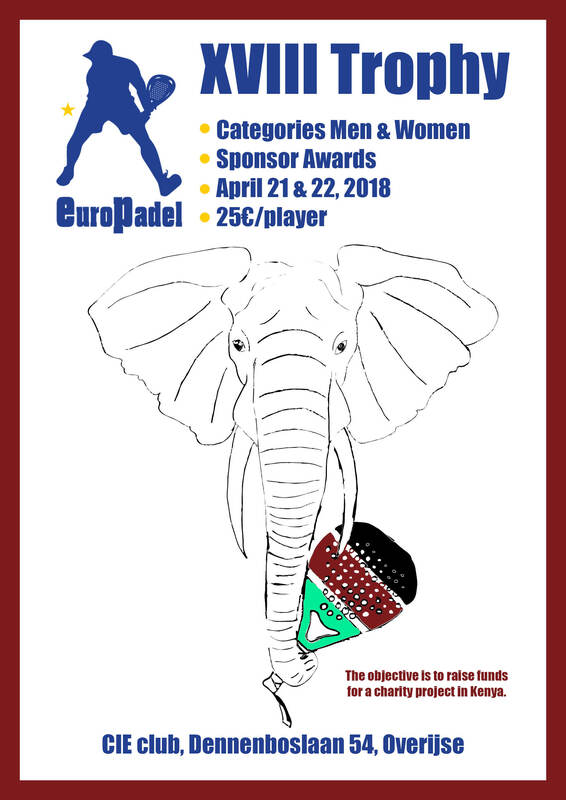 EuroPadel organizes a charity trophy on April 21st and 22nd to raise funds to help GAM, a Belgium NGO (but sopported by many Spaniards) with projects in more than 7 countries around the world. In this particular case, it is about raising money for a project in Kenya were this NGO is actively working since more than 10 years ago, building schools, water wells, projects for woman development and hospitals to provide education and care to the Samburu and Turkana tribes. There will be two categories, women and men and the inscription fee will be 25 euros per player, to be paid on site. There will be prizes for the winners and some other presents donated by our generous sponsors. Please send your bookings to Felix Moreno Diaz by Wednesday 18th. If you do not have a partner to play with, let us know and we will try to find you one. This will be a great opportunity to join our passion of playing padel with an altruist target of helping people. We count on you to enjoy the weekend, the tournament and the Europadel family. XVIII EuroPadel trophy – charity trophy in favour of Kenya - A GREAT SUCCESS !! 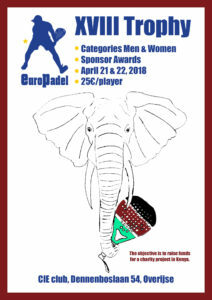 1 Reply to "XVIII EuroPadel trophy - charity trophy in favour of Kenya"